Give a creature a Ward. 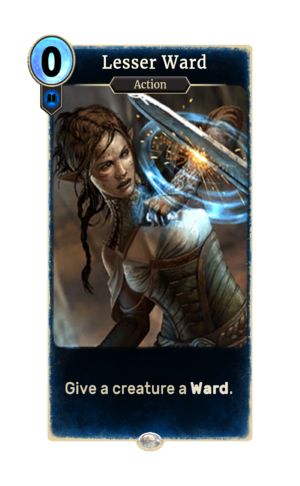 Lesser Ward is a common Intelligence action card. It is part of the Core Set.